A group of campaigners, copyright scholars and lawyers have sent a letter to the UK Government, urging it to narrow the definition of online criminal copyright infringement in the Digital Economy Bill. The signees warn that the current definition of criminal copyright infringement is too broad and could be used to target casual file-sharers with sentences of up to ten years. 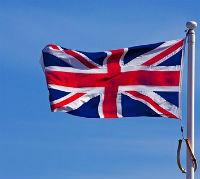 Last year the UK Government introduced the Digital Economy Bill, which is set to revamp current copyright legislation. One of the most controversial proposals is to lengthen the maximum sentence for online copyright infringement, without a clear criminal threshold. If the bill passes, it will increase the maximum prison term for copyright infringement five-fold, from two to ten years. According to the Government, this change is needed to deter notorious copyright infringers. However, opponents warn that its broad definitions also put casual file-sharers at risk. This week a group of campaigners, copyright scholars and lawyers teamed up to share their concerns with the Government and its Intellectual Property Office (IPO). In their letter, they urge the lawmakers to narrow the definition of ‘criminal online copyright infringement’ to prevent abuse and keep it proportionate. Under the current draft of the bill, anyone who makes pirated content available will open themselves up to criminal liability, if they expose a copyright owner to the “risk of loss”. That definition is too broad, opponents warn, as it allows rightsholders to frame average file-sharers as criminals. In the letter, the experts suggest two minor changes to the current text. The proposed change would swap the general mention of “loss” and “risk of loss” with “commercial scale loss” and “serious risk of causing commercial scale loss” respectively. “It is important to stress that this amendment would introduce thresholds for criminal liability to avoid prosecution of minor, small-scale, non-commercial copyright infringers such as file sharers,” the letter reads. The Open Rights Group has been campaigning for this change for a while, but thus far the Government has seen no reason to alter the proposed text. With backing from many prominent experts, including scholars and lawyers, they hope lawmakers will consider it once more. The Digital Economy Bill will go to a third reading in the House of Lords on Wednesday next week, which would provide an opportunity to make the suggested adjustments. TorrentFreak spoke with Dr Felipe Romero-Moreno, Lecturer at the University of Hertfordshire, and one of the signees of the letter. He stresses that the changes are required to ensure that casual file-sharers are dealt with through civil courts, not through criminal prosecutions. “This amendment would give the courts, lawyers, and the public a clear indication that minor, non-commercial infringement such as file-sharing or unlicensed online publication would be unlikely to meet the thresholds of ‘serious risk’ or ‘commercial scale’ losses,” Romero-Moreno says. The proposed changes will also ensure that the bill is not in violation of the European Convention on Human Rights and EU law in general, which may not be the case right now. At the same time, it will shield the public against aggressive “copyright trolls,” which could use the current version to back up their practices. “Crucially, in addition to being compatible with both the European Convention on Human Rights and EU law, our proposal would protect innocent individuals who received threatening letters from speculative invoicing copyright trolls. The latter is something which, unless the UK Government takes our suggested amendment on board, appears to be alarmingly supporting,” Romero-Moreno notes. A full copy of the letter is available here (pdf). In a few days, we will know whether it has had the desired effect.